Hi, I’d like to introduce myself, I’m Rachel or Skip to some people. I was born in Cheltenham and have lived here all my life, so land locked. I’m a married woman, with two grown up sons and work as an Emergency Nurse Practitioner within the community setting. I’m 53 years old and should know better, I am about to take on an exciting and amazing new challenge supported by Swim Secure, South West Swim (http://southwestswim.co.uk), Sandford Parks Lido (https://www.sandfordparkslido.org.uk), Sea Swim Cornwall (http://seaswimcornwall.co.uk), Lenches Lakes (https://lencheslakes.co.uk) and Selkie Swim Co (https://www.selkieswim.com) taking my swimming from the lanes of the pool to the open water of the lakes and sea. I enjoyed swimming for a while when my boys were younger, for my own sanity and that of my husband’s. I would disappear for an hour or so a week, plodding up and down the pool with my local swim club in an environment that I felt confident and comfortable in. Then I decided to train as a nurse! Yep crazy, a mature student, 3 years at university, assignments to write and work placements to contend with. Juggling all this with the ever-increasing demands of family life. My swimming was not a priority and the last thing that I had time or energy for. My boys were very sporty and I was forever picking up and dropping them and their mates at different sporting venues. From these activities with the boys I became involved with the local rugby club where they played. I, having always loved to watch the game, thought that I would like to give this sport a go. So one day I joined in with the ladies at a training session and that was it; I played rugby for the next ten years! During this time I became captain of the team and being the skipper is where the nickname ‘Skip’ comes from. I’ve now retired from the beautiful game and hung up my boots, being far too old to be charging about like a thing possessed. So what next? I joined a gym and work out with weights which I enjoy but feel I now need a new challenge. My thoughts were drawn back to the pool and the pleasure and relaxation that I got from being in the water and wondered could I do this? So I entered a local triathlon! (Mira Showers Triathlon on 19 May). The fact of the matter is that I hate running but the draw of the water was there and this triathlon is in a beautiful 50 metre open air pool (Sandford Parks Lido). But no, this was not even enough of a challenge, so I applied for a place to take part in a charity open water swim from Padstow to Rock (https://www.mariecurie.org.uk/get-involved/charity-events/swimming/padstow-to-rock) and got a place! I would need to get back in the water to see if I could still swim but how difficult could it be after all these years? So, I’m going from swimming in beautiful heated, clear water where you can see the other end of the pool, following the black lines, knowing that you’ve only got 25 or 50 metres to go till you can turn and go again or rest. Why would I want to spoil a good thing? But I’ve always wanted to do something a little different, well different for me, and to take my swimming on a new path. To learn how to swim in open water where there is no line to follow or end in sight for a sneaky rest. Where the water won’t be as clear and will be a little cooler, if not freezing *slight exaggeration* and I dislike being cold immensely….this could be one of my biggest challenges! So I feel this adventure will take me on many different paths mentally and physically. Physically I am not that daunted as I am quite strong from playing front row in the scrum at rugby and am a frequent visitor of the gym. I think the mental aspect of this challenge could be the stumbling block for me. How will I cope out there in the open water without the safety of the lane? How will I cope with the temperature of the water? How will I cope swimming in the sea with the waves and the tide to contend with? Already these aspects are worrying me, I am probably over thinking them. Maybe one thing at a time is the way forward. I must admit this is all a little scary, but exciting at the same time…..possibly….. So this challenge will take me WAY out of my comfort zones. How hard can this be I ask myself ? The health benefits of cold water swimming have long been suspected, from Victorians gathering in their bathing machines to the lido boom of the early twentieth century. Now science is starting to back up the anecdotal evidence with studies that suggest that there are lasting positive effects of a bracing outdoor dip. Studies are still in the early stages and we are only just starting to understand how cold water immersion affects the human body. Submerging yourself in cold water is not everyone's cup of tea. The temperature of the water creates a stress reaction in the body, the same kind of reaction we experience if we find ourselves in a scary or tense situation. The body releases the stress hormone cortisol and breathing frequency and heart rate increases. The body’s fight or flight mechanism kicks in, explaining why the natural reaction to getting into cold water is to want to get out as fast as possible. As anyone who has braved an icy dip will know, the stress reaction recedes as you adjust to the temperature. There is now evidence to suggest that repeatedly putting your body through cold water immersion gradually reduces the severity of the initial stress reaction. It may not be that cold water swimmers become acclimatised to the water, they just get used to their body’s reaction and the reaction itself becomes less severe. The real magic is that the reduction in the stress response applies in other stressful situations, not just on exposure to cold water. Your reaction to other stressful events - taking an exam, bungee jumping - is also reduced. The process of forcing yourself to stay in cold water could be increasing your mental strength. Getting out of your comfort zone builds confidence and courage as well as giving you a sense of accomplishment. By becoming comfortable with being uncomfortable you increase your resilience in other areas of life. When you immerse yourself in cold water you are sending your nervous system into overload. Nerve endings transmit responses to your brain, telling you just how cold parts of your body are. Your brain only has limited bandwidth and with the intense sensation of the water to focus on there is no space left for your brain to go over your to-do list or worry about anything other than the cold. This focus on the present moment has much in common with mindfulness exercises and offers a welcome time out from the constant churning of our everyday thoughts. Ice baths are used by elite athletes all over the world to aid post performance recovery. The science is simple, your body reacts to the cold temperatures by directing blood away from your extremities to protect the organs in your core. The low blood flow to your limbs decreases inflammation and allows muscles to recover much quicker. A bracing dip can give you all the benefits of an ice bath. The science isn't conclusive on this one but many swimmers report fewer coughs and colds than their non-swimming friends, and there is a theory to back it up. The stress reaction caused by cold water immersion is suspected to trigger an increase in white blood cell production, providing a natural boost to your immune system. When you add together the physical and mental benefits of swimming then it is certainly plausible that there is a positive impact on the immune system. Swimming in open water - especially sea water - may have beneficial effects on your skin. Salt water is awash with magnesium, calcium and potassium which is all good news for the skin. Sea water is also a mild antiseptic and may encourage damaged skin to heal. The fabled after swim high is a real thing, as the mix of exercise and cold water exposure triggers a release of dopamine, the body's feel good hormone. If you swim with a buddy or in a group the chance to share and compare your experience with like-minded people intensifies the experience. The water may be chilly but there are plenty of reasons why pushing through your resistance and persisting with cold water swimming is a great thing to do for your health and well being. If you're thinking of taking up the sport have a look at the Swim Secure Open Water Swimming Safety Guide for some tips on how to get started safely. For more great advice, information and tips visit the Outdoor Swimming Society and Outdoor Swimmer Magazine. Following my failed attempt in the Summer of 2017, this June I’m embarking on a stubborn second attempt at swimming the length of Ireland, taking me from the Giant’s Causeway on the north coast, to my hometown of Waterford on the south. I set myself the original challenge about a month after the death of my dad to cancer. Aged 65, he died only three weeks after receiving his diagnosis, giving no time to come to terms with what was happening. The purpose of the swim was to set myself a positive focus to dedicate my time and concentrate my emotions to, after what was the most difficult experience of my life. It was and is a tribute to my dad, a means of raising funds for the Irish Heart Foundation and Solas Cancer Support Centre and an attempt to better myself in the process. Having walked away from non-competitive swimming at the age of 12 to pursue other sporting interests, at 25, committing to trying to swim the length of Ireland with seven months to prepare, was a mammoth task for me. Genuinely having to stop after every 25 metres to catch my breath in the beginning, I knew I badly needed the help of an expert to guide the preparation. After asking around for advice, I was put in contact with Ireland’s top 10km swimmer. I paid them £600 for one pool lesson and a training programme and set to work on my own for the few months I had to prepare, all the while trying to hold down my job as a town planner in London. Having previously ran 35 marathons in 35 consecutive days, I was concerned the training would be a monotonous slog, as the bulk of the marathon training was long slow solitary miles. It’s one thing jogging around a serene wooded park, on interesting terrain, amongst nature for a few hours each day, but a total different ask to just plod up and down a 25 metre public pool. Thankfully my training plan is very varied. I train in four-week blocks, three increasingly longer weeks and a scaled back recovery week. It’s not unusual to have seven or more training sessions per week and training incorporates a mix of technique sessions, kick sessions, overspeed sessions and aerobic sessions. I also use various training aids throughout most sessions, such as the kickboard, pullbouy, short and long fins, hand paddles and a snorkel. Different strokes and speeds are integrated too. Although I’ll be swimming a constant slow front crawl during the challenge and that’s the bulk of my training, the variety is key in my opinion, to keep the journey interesting, fun and engaging and to keep the body guessing and growing stronger after each block of work. This time around, my training is broadly remaining the same, however, I will be trying to incorporate more double session training days (one AM and one PM) to try replicate the different approach of this attempt, swimming two tides per 24 hours rather than one, enabled by the change in support vessel. Since the support RIB sank and ended the first attempt, I’ve gone all in on a 32-foot sailboat to improve my chances of a finish this time around. Another change this time will be getting more cold-water experience. I naively thought the wetsuit would prevent cold shock and keep me comfortable on the first attempt. That notion quickly vanished when I immersed myself in the ten-degree depths off the Northern Irish coastline. Having met and discussed this with Dr Heather Massey, a leading UK expert in the area of human physiology in extreme environments, my training this time is supplemented with cold water dips. By not solely focusing on pool miles, I’m getting (or trying to get) acclimatised to the Serpentine Lake on a weekly basis without my wetsuit. As the start on the 1st June gets closer, I’ll be steadily increasing my time in the cold to help make the transition from pool training to the sea adventure that little bit easier. If you want to follow the event or donate to the charities, please visit www.marathonman.co and don’t hesitate to contact me if you’re a sailor interested in joining to team this summer. You can keep up to date with Alan’s challenge on facebook, instagram and twitter. 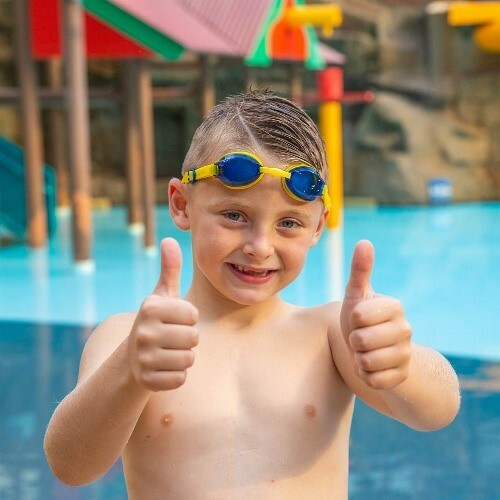 We are delighted to announce our corporate partnership with STA’s International Learn to Swim Week 2019 and Water Safety Squad initiative. STA are an International and registered charity who work towards their charitable objective: ‘The preservation of human life through the teaching of swimming and lifesaving’. Their successful International Learn to Swim Week campaign promotes the importance of learning to swim, no matter age, ability or location. In support of this, [name of organisation] want to help encourage people of all backgrounds to get in the pool and open the door to a wealth of water skills. Following a nation-wide search in 2018, STA has chosen 5 amazingly diverse young people to be the voices and forefront of their Water Safety Squad. Each individual has their own unique story to share. After losing her brother to drowning in 2011, Annie is naturally very passionate about water safety. Annie has watched, learned and participated in events to raise awareness surrounding water safety for Doing it for Dylan. Last year she walked Pen y Fan in Wales and raised around £300 towards emergency combination locked throw line stations. Annie struggled to get in to the water after losing her brother but she pushed herself at school and in her own time, learned to swim and overcome her fear of water. Cori is a cheeky chappie who has been through a lot in his short life, namely major heart surgery. But he is not fazed, he simply gets up and gets on with it - he has such a positive energy and bubbly personality. He loves swimming too, and more importantly it helps him with his pain and muscles from hypo mobility. Laila has been swimming since she was very 4 and is very water confident – she loves nothing more than diving under and splashing around. Laila understands the importance of learning to swim, but she says its also fun and helps to keep healthy and fit! Thanks to learning how to swim, she has a great time playing with her family and friends in the pool and while on holiday. Meghan has an amazing passion and enthusiasm for swimming and safety in the water. She was born with no right hand and a partial right forearm – as a result her parents enrolled her into swimming lessons for the sole purpose of ensuring she was safe. Little did her parents know that this was the start of an amazing journey for Meghan. Meghan joined Torfaen Dolphins Performance Squad and since June 2017 has been classified as an S9 paraswimmer. She also attended 3 Para National Events, winning Gold, Silver and Bronze medals in the 10-13 year age group. She has also been selected by the Welsh Para Skills Academy squad, and in September of last year became the youngest person selected for the British Para Academy squad 2018. In December at the National Para Swimming Championships, Meghan won two Gold and 2 Silver medals. In just 18 months, Kyren transformed from a child who was terrified of going into the pool without his arm bands as well as a rubber ring and woggle, to a keen, passionate swimmer and a member of Ipswich triathlon club. 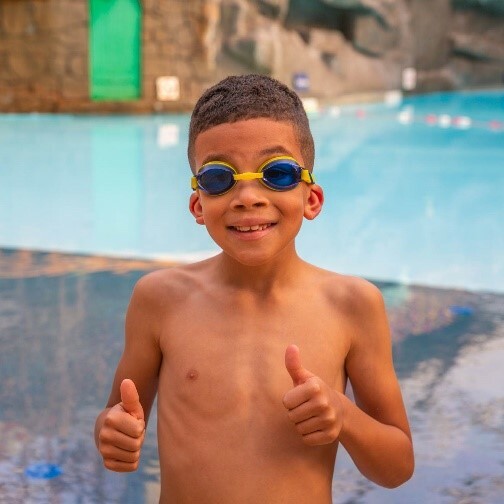 Through his dedication and determination, he positively shows all the exciting options that are available to youngsters once they’ve overcome their fear - how learning to swim opens up new exciting possibilities; from club swimming, sailing, scuba diving, canoeing and in Kyren’s case’ Triathlon. Could you change the lives of adults and children alike who suffer anxiety entering a pool environment? Last year, STA found over 25% of parents and 1 in 3 children (0–16 years) could not swim. With a lack of opportunities to explore swimming for enjoyment, to learn vital life skills and water safety education, children grow up unable to support themselves in dangerous situations. We need your help to make a change. Give your local community a chance to experience and find comfort in your valuable swimming lessons and leisure facilities. Take part in STA’s International Learn to Swim week and access free resources and ideas created from STA’s expert aquatics team. You will have everything you need to get involved in STA’s International Learn to Swim Week 2019. What would I do and where would I find myself if it wasn’t for that one wild swim? A question I often ask myself when I am feeling overtired, anxious, stressed or rundown. There are times in my life as a busy working Mum that I can feel incredibly calm, confident in my journey, creative in my work and content in my surroundings – but only if I honour that ‘one wild swim’. In the recent Christmas break I slipped into a wonderful routine of worry-free sleep, regular dawn swimming, a quiet morning to write and a feeling of endless courage and possibility. I felt exactly how I thought I should, that time didn’t matter, and that anything was possible if I just managed to be quiet enough to listen to my own intuition and follow its advice. As I strolled the seafront and the local park with mindfulness, new ideas would fill my mind. I experienced such clarity that I felt I could achieve anything if I just made sure I did it with honesty and an authentic heart. Upon return to work and without realising it, my normal rushed working pace resumed once more. Time mattered, deadlines reappeared, swims were missed, and all the usual noise and panic returned to my life. A day of success with a recent published piece of writing turned into a time of self-doubt, comparison, worry about the future and low mood. Without that ‘one wild swim’ I was struggling to rationalise my feelings, comparing myself to others, doubting my journey and the worth of all my past and current work. By simply adding in just a few more have to’s and by missing my regular me time I had in such a short space of time completely lost perspective on my life and of being able to celebrate all my own personal success. I had been published in a magazine and I had, through life’s lists, lost all confidence in myself. I doubted my future, I compared my journey to others and I felt a failure whilst finding fault in my projects and my work. From absolute clarity a few days before, my mind had become cloudy and I could sense a total shift in my ability to think positively about myself and my future. Through losing that small space in my day in that ‘one wild swim’ I had lost the space I needed to grow. We all surely deserve to live out our childhood dreams, to recall our natural passions and remember all those things we wanted to do as a child, but lack of self-care in my book continues to be the thief of living a successful and purposeful life. How can we really love our lives when we always feel we should have done better? I am forever mindful of this when I post my own images on social media. I don’t want people to feel that they must compete, that they feel bad about their own lack of exercise or ability to get up and get outdoors in the day or early in the mornings. My aim has always been to be completely honest about my own vulnerabilities and struggles in life in the hope to inspire and encourage others to try new things, experience new places, discover new parts of themselves and to feel confident to trust their own ideas and feelings. My message is to realise that the present is not always how it will be, how we see ourselves and how others see us will not always stay the same. We are all able to change our current situation and develop who we are by engaging in a small regular act of daily self-care and personal adventure. Over the past few weeks we have had new faces joining us at the rocks for an early morning swim – proof hopefully that the sharing of my wild swimming journey has been a help to most and not a hinderance. When we fail to regularly selfcare, when we let it slip, when we think we don’t need it we lose the ability to fulfil our true potential, to celebrate others journeys and to have the drive and inspiration to celebrate and focus on our own. To me, that ‘one wild swim’ is so much more than just a swim – it is a gateway to the future, a road to self-discovery, a journey to our real, contented and childlike selves. It is a reminder that as children we all once had grand ideas, hopes, dreams and a fearless sense of ambition – we feared not of other opinions or of their similar abilities we just soldiered on doing something that we loved, with focus, determination and joy. And so, as I stand frozen once more, at the edge of the sea for a swim. Instead of a loss and a feeling of doubt I go home, I am me, it’s a win. Katie Maggs is a swimmer and author who writes on the topics of open water swimming and mental health. Her inspirational journey has been documented in the short film Tonic of the Sea and she will be publishing her first book of the same name soon. Visit Katie’s website for more information.